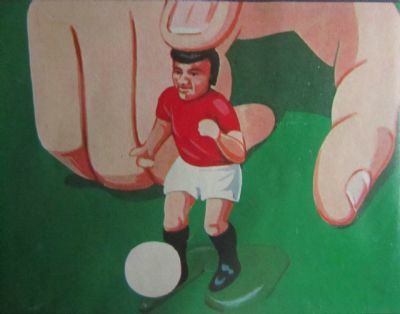 Unusual version of the classic Striker game aimed at younger children. 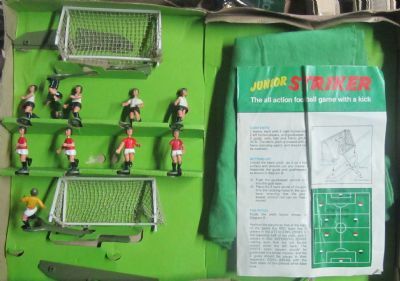 Four players, goals and Subbuteo type pitch. 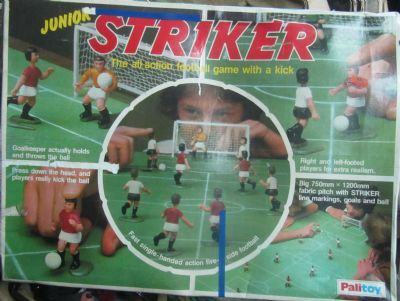 Cracking box lid, loads of action. Simple game with pitch, goals, players, balls. No surround. This poor chap appears to be in a lot of pain! 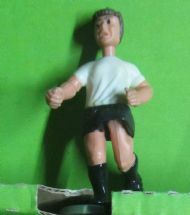 Nice simple kit that was not available in any other Striker sets. Great graphic, Striker had its very own gimmick.